Ozzies love the outdoors and we love to drive. 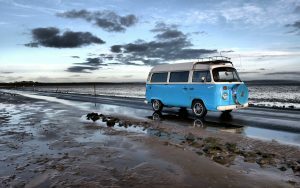 What better way to get around the country than in an old school combi van? This is the perfect time of year for a road trip. School holidays aren’t here yet, so there is no mad traffic on the roads. Plus its a great time of year for weather, not too hot or not too cold. When we plan a road trip, it’s always good to use a road trip planner. It makes the journey so much easier to plan and get around this wonderful country of ours. It’s always a good idea to pack some tinned food and cooler box full of ice. You never know when you may be stuck and not able to get back to civilization. The rest is best left to be found and experienced by yourself. Too much planning can kill any road trip and take the excitement out of it.